While looking for a few other things at a local Toys R Us recently, I stumbled across this little gem! 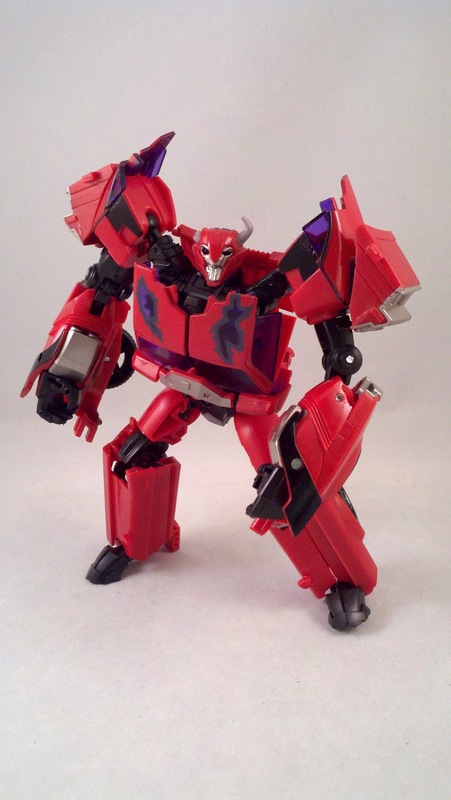 The Hasbro First Edition mold of Terrorcon Cliffjumper! 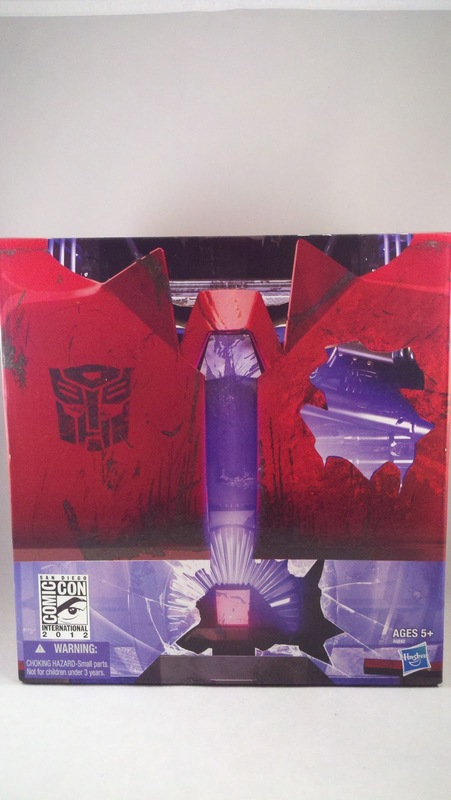 Didn't SDCC do a zombie Cliffjumper? You bet they did. 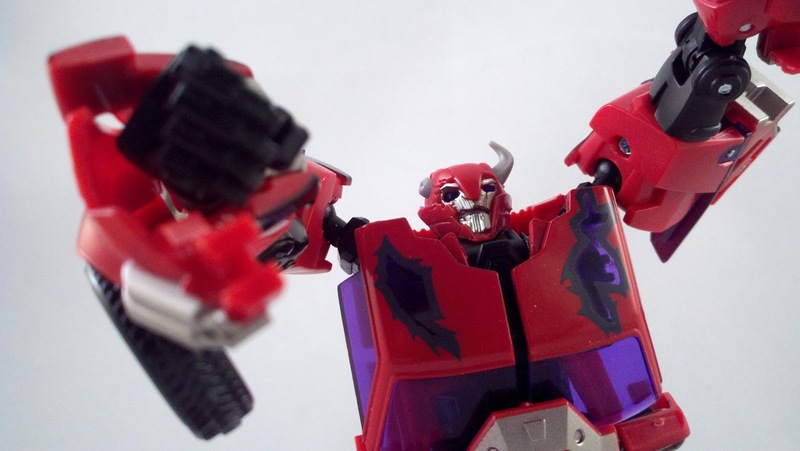 This release allows me to have a Zombie Cliffjumper open without compromising my SDCC version. Take a look after the jump... or he'll eat your brains! 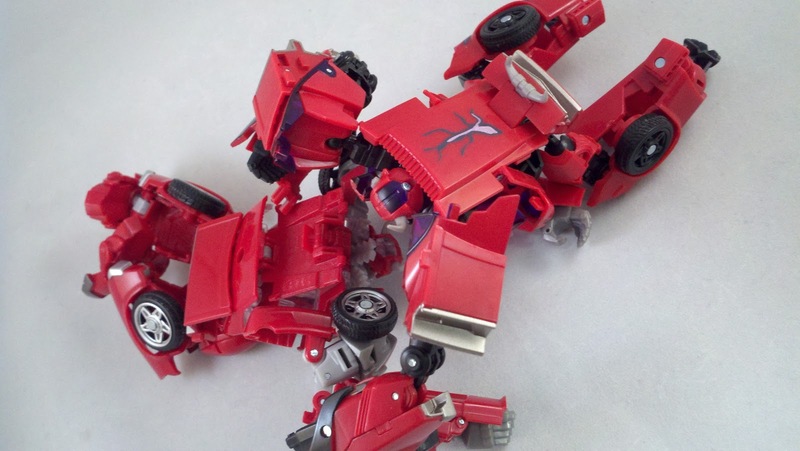 Poor Cliffjumper... what's worse... poor The Rock. 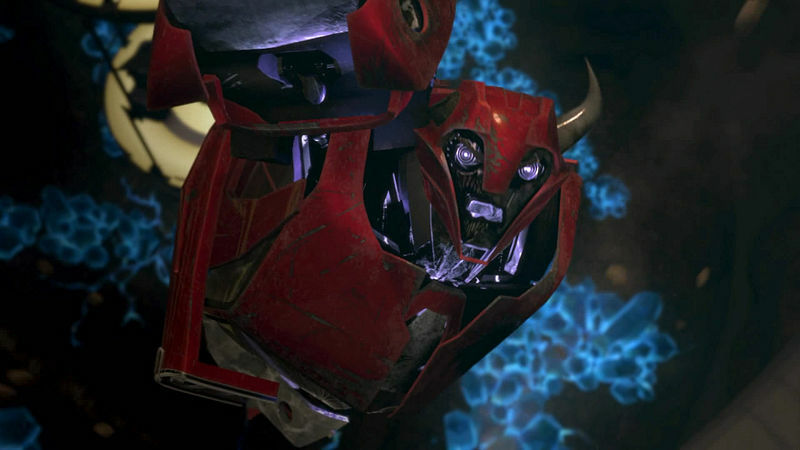 He gets a voice in what was looking to be a promising new Transformers show, and dies in the first episode. Is Joss Whedon writing these? 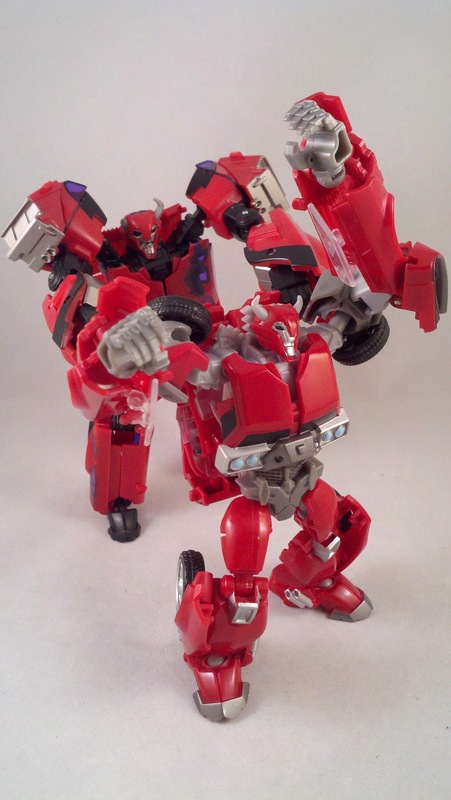 Cliffjumper was just as pompous and egotistical with regards to his own abilities as he's ever been. Unfortunately for Cliffjumper, the Decepticons were more than ready for him. Cliffjumper was overpowered by Vehicons and caught in a blast of ignited raw Energon. Taken to Starscream for interrogation, Cliffjumper did what he did best, mouthed off. To which Starscream's rebuttal consisted of gutting poor Cliffjumper. With Megatron's rediscovery of Dark Energon, he needed a test subject with which to experiment, Cliffjumper's corpse was the best choice. Jamming a shard of Dark Energon into his chest, Megatron created his first Terrorcon; a mindless zombie of a Transformer that attacked anything in it's path. 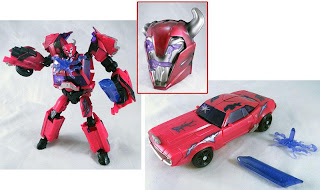 Previously I reviewed the Asia Exclusive, GDO Cliffjumper, which used the Hasbro First Edition mold but put a G1 head on it. This mold is the same mold, but with yet another head and some different paint apps. The card for the First Edition figures is very nice; a deep blue with the words "First Edition" foil stamped up the side. 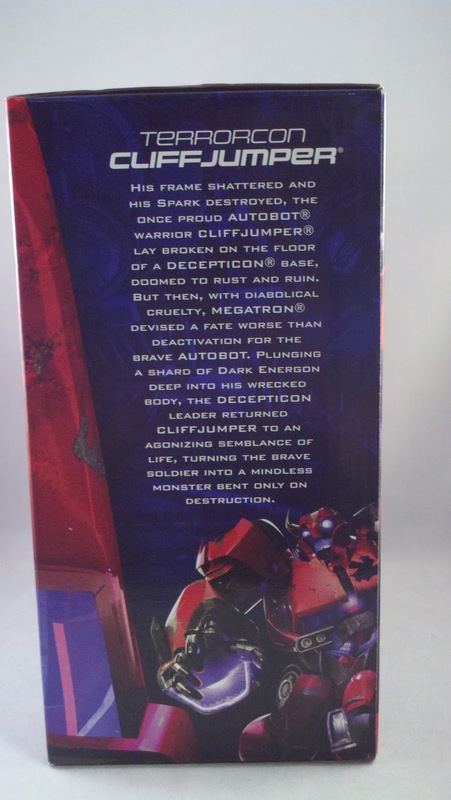 The Transformers: Prime text is at the bottom with some very nice card art of Terrorcon Cliffjumper's CG model at the top. I totally botched getting you pics of the back of the card. Out of the bubble, you'll see that Cliffjumper's tray is smaller than the norm. 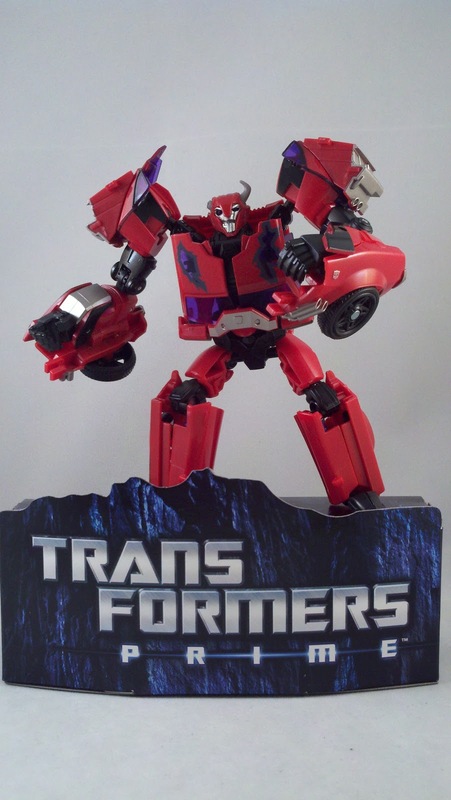 The bottom portion of the package is a card stand that you can display your Cliffjumper on. 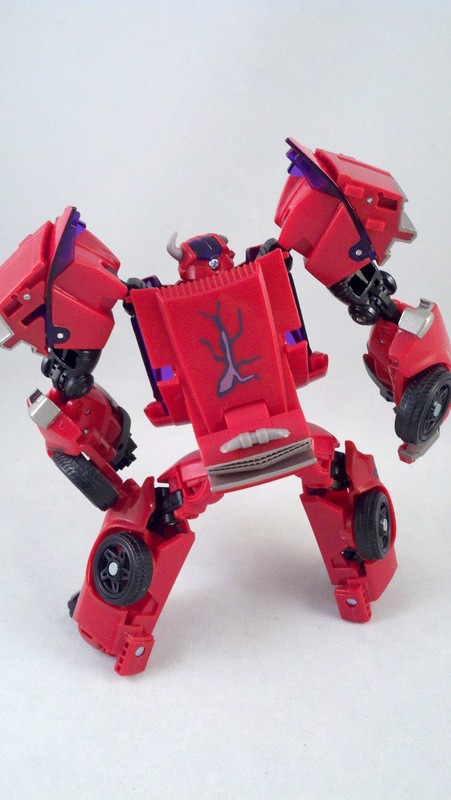 Underneath that of course are Cliffjumper's instructions. 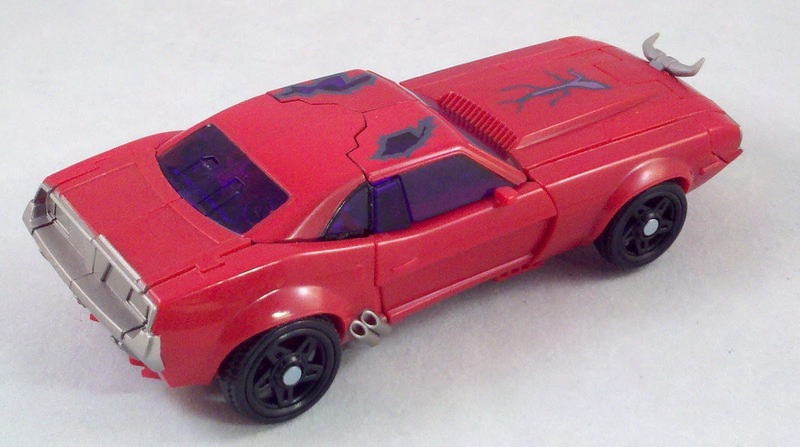 Cliffjumper comes with NO accessories. Being the First Edition mold, his blasters are built into the figure, which I love. 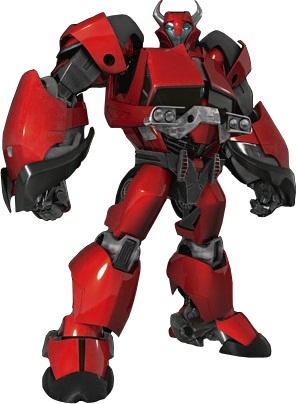 This is FE Cliffjumper, I won't get into all the details since we've seen him before. 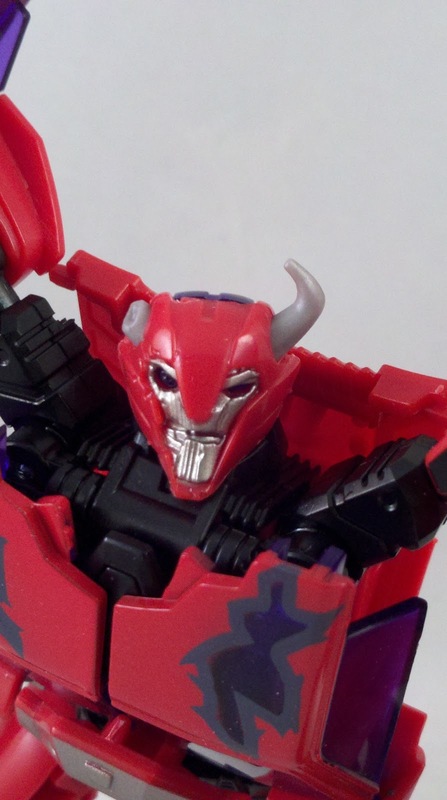 He is molded in a slightly lighter red color than the FE or the GDO versions of the mold. The big difference in the Alt-mode is of course, the paint apps. 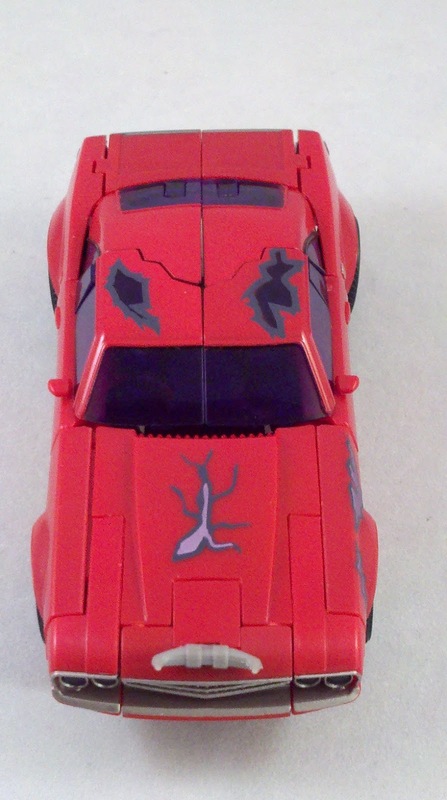 Terrorcon Cliffjumper is covered in gouges and battle damaged; he's been beat up good. 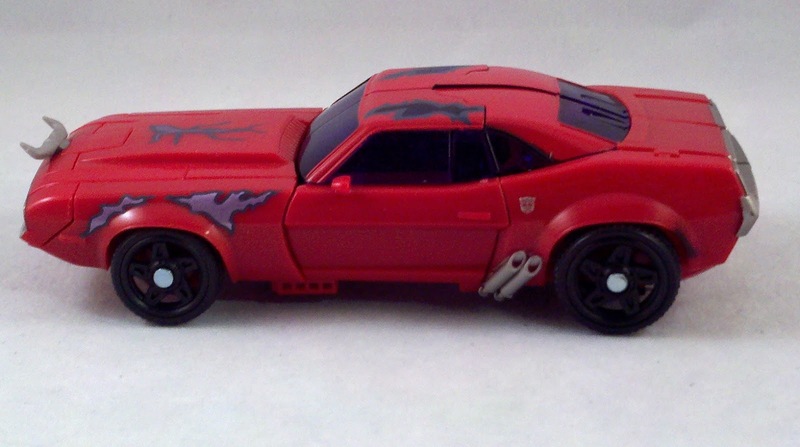 It seems that in trade for the battle-damage deccos, Cliffjumper was left without his silver wheels. I may have to do something about that. Everything about Terrorcon Cliffjumper's transformation is the same as the other versions of the mold. The big difference in Bot-mode, is his head. His hungry... hungry... zombie head. 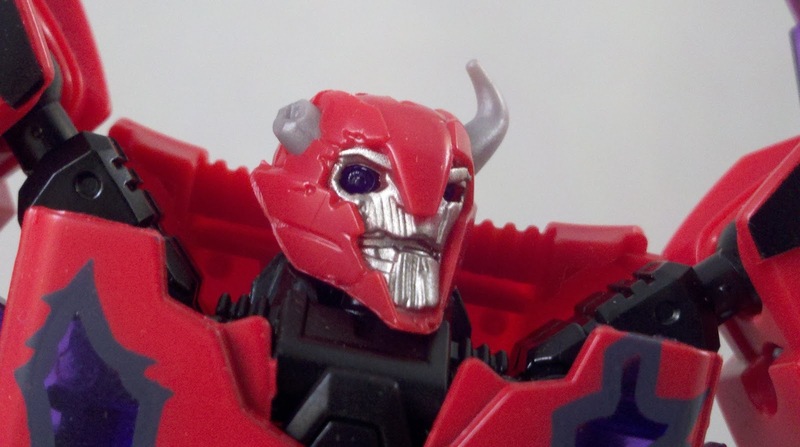 Cliffjumper is missing one of his horns, blown off in the Energon blast, and his face is torn open exposing one optic almost completely. His head is light piped; lighting up both eyes in an eerie purple. I love this mold. I'm very happy that Hasbro brought this mold to us. 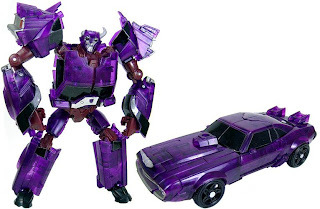 Takara used this mold for their version of Terrorcon Cliffjumper but molded in translucent purple. 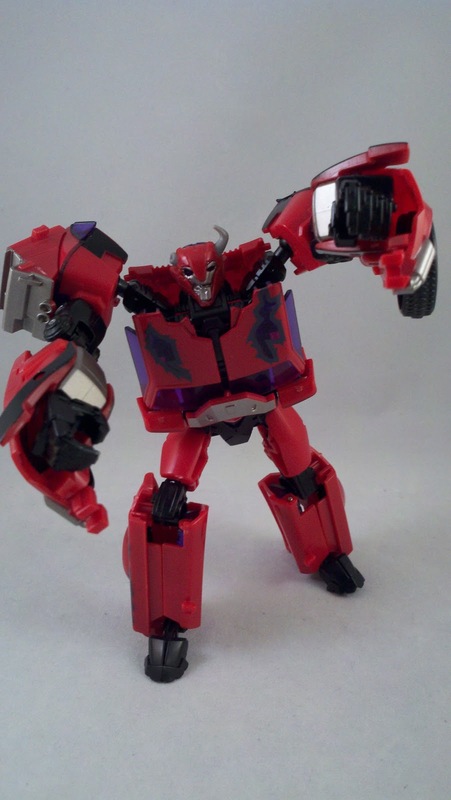 I never got this version of Terrorcon Cliffjumper, and I probably won't, I don't care for the color. 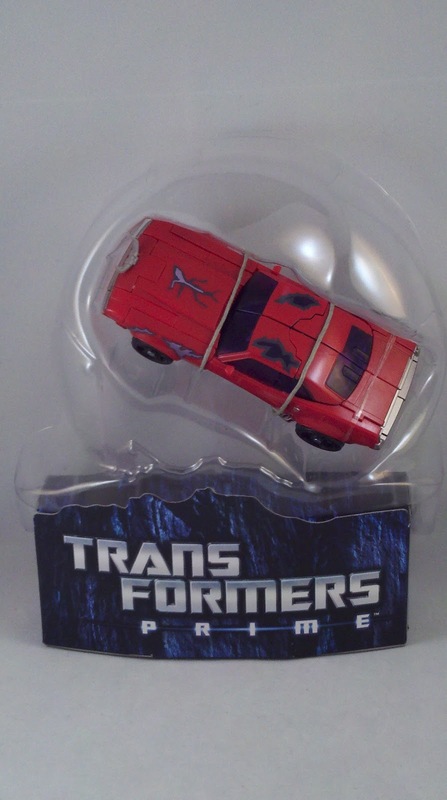 Here in the states, we have already received a version of Terrorcon Cliffjumper, the SDCC Rust in Peace Cliffjumper. But, since it's an SDCC exclusive, and I only got one for myself, I have not opened it. The box however, is beautiful. 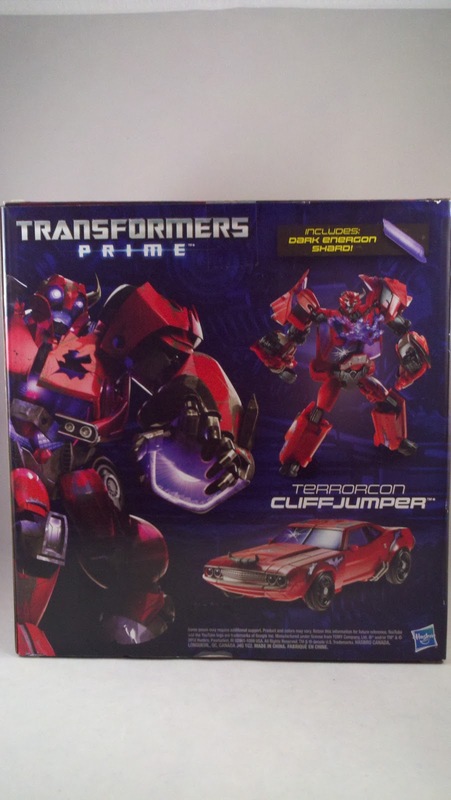 The front of the box is decco'd as Cliffjumper's chest. 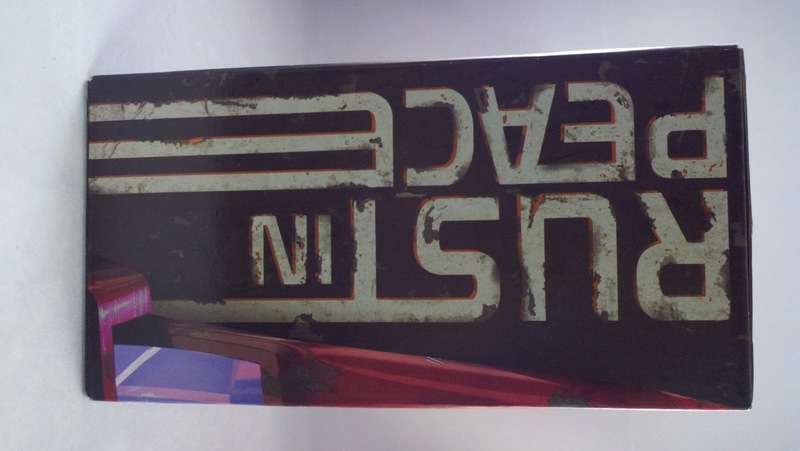 one side of the box has 'Rust in Peace', the other side has a nice little write-up on Cliffjumper's demise and resurrection. 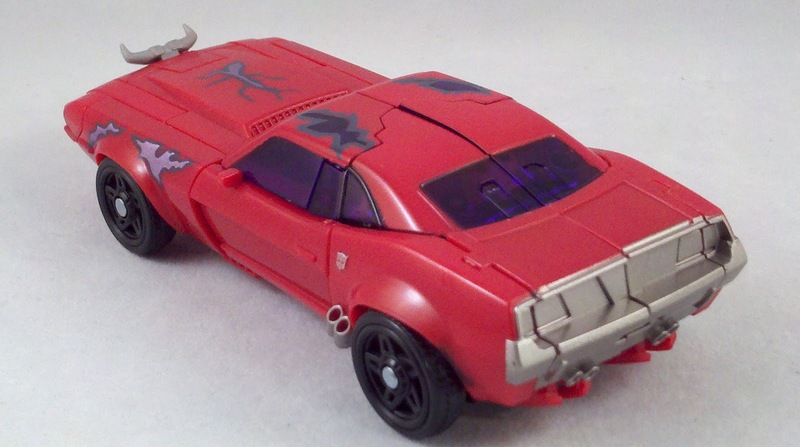 The back provides some nice shots of Cliffjumper in Bot and Alt modes as well as his Dark Energon shard accessories. 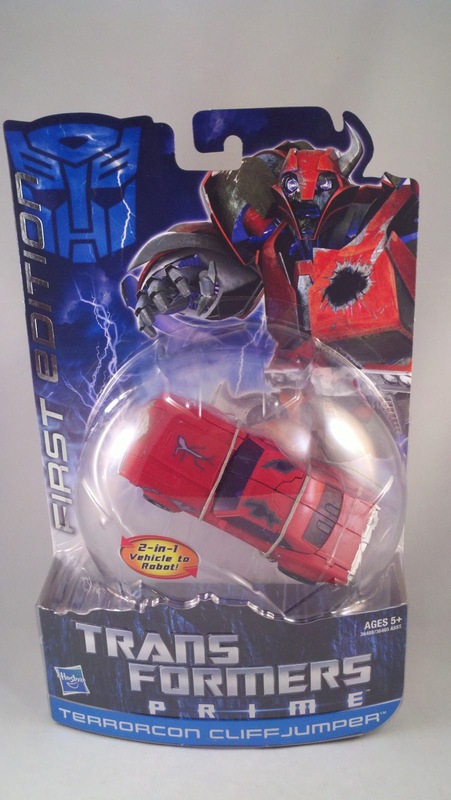 The figure itself is packed in a bubble painted and shaped like Cliffjumper's head. 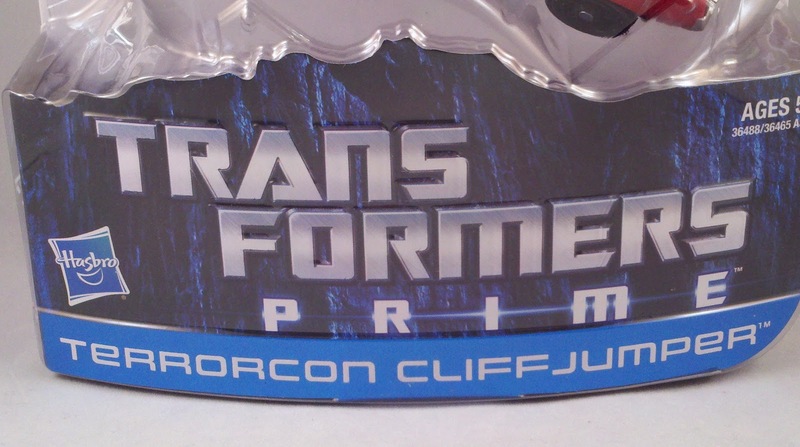 When placed on top of the box, it basically makes a bust of Terrorcon Cliffjumper. 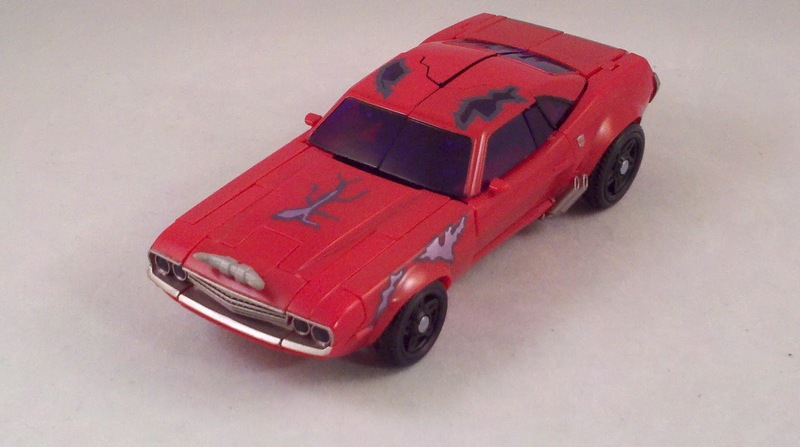 Looking at the pics, it appears that the SDCC Rust in Peace Cliffjumper has more battle damage paint deccos but still lacks the silver wheels. 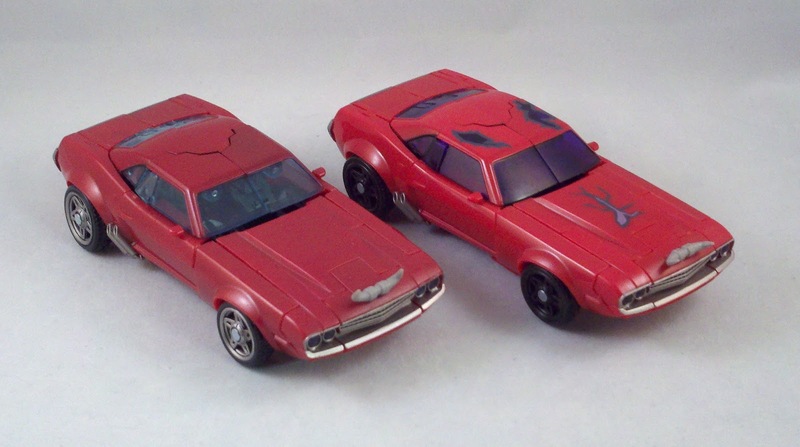 Again, I like this mold and I like Cliffjumper as a character. I also really like zombies; making this is a near perfect figure. 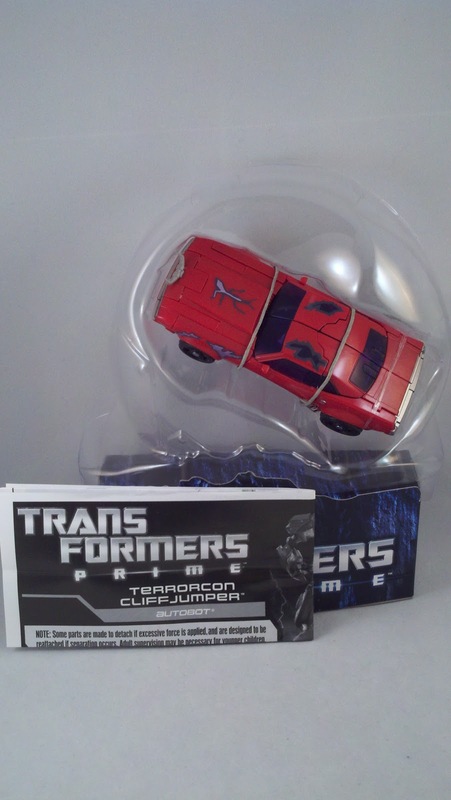 If you didn't manage to get an SDCC Rust in Peace Cliffjumper, the FE Terrocon Cliffjumper is a perfect substitute. 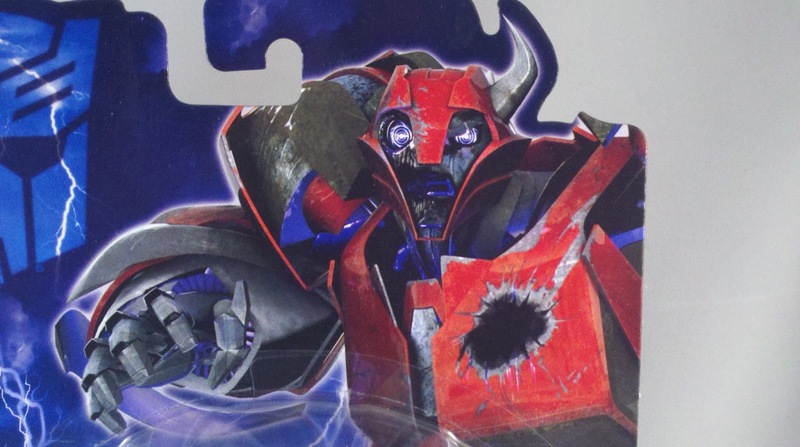 The current re-release of the First Edition Transformers Prime figures are now making their way through Toys R Us. 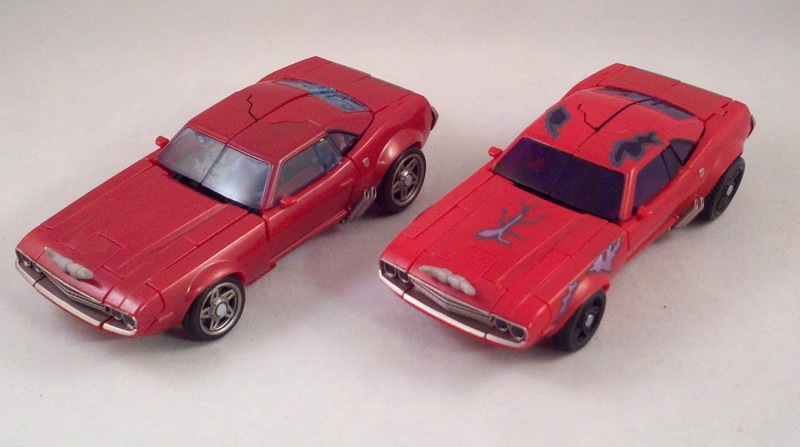 On the peg with Cliffjumper you should also find Arcee and Starscream; both of which are excellent molds as well. Shamble on out to your local TRU and see if you can score this guy! 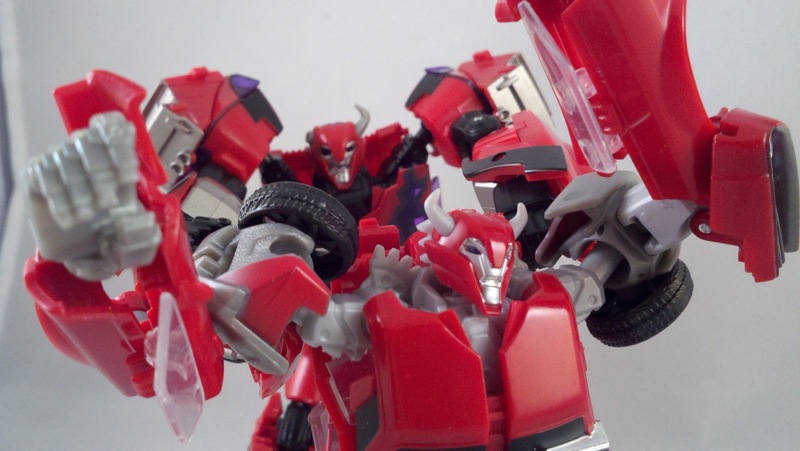 Pics, review, and brrrraaaaains by Scion of Primus.